The fundraising professionals in the Office of Development work in support of Smith’s mission to educate women of promise for lives of distinction and purpose. Staff are happy to provide advice or answer questions about giving to Smith. The Gifts and Records team is available for questions about making a gift, pledge balances, tax receipts, gifts in memory or honor and other charitable giving questions. Staff are also available to assist you in updating alumnae/i contact information, reporting a death, finding a classmate or other constituent records questions. You may call 413-585-2036 during business hours, Monday-Friday, 8:30 a.m. to 4:30 p.m., or email your gift questions to giftaccounting@smith.edu or your records questions to alumnaerecords@smith.edu. For questions about giving opportunities, please contact Betsy Carpenter ’93, director of development, at ewcarpen@smith.edu or 413-585-2052. For employment opportunities and to learn more about working at Smith, please visit Human Resources. The vice president’s office oversees all fundraising programs, with a special focus on principal gifts. The Advancement Services team oversees data management and data access for Development and Alumnae Relations work at Smith College. CFR pursues institutional grants to support Smith's academic priorities and initiatives. The team also works with faculty on identifying external research grant opportunities. Learn more about the office. The director of development’s office oversees the management of fundraising initiatives and programs including the Smith Fund, the Parents and Families program, International Development, the Milestone Reunion program and Smith College School for Social Work development efforts. The office is also the central hub for development volunteers. Donor Relations celebrates the impact of philanthropy at Smith College. Learn more about Donor Relations and Development Communications. The Office of Gift Planning works with donors to maximize charitable intentions while creating a legacy for future generations. In addition to the individual staff contacts listed here, you may also contact gift_planning@smith.edu or 413-585-2051. Learn more about gift planning. The Gifts and Records team is responsible for gift accounting and records management. Staff are available for your questions about making a gift, pledge balances, tax receipts, gifts in memory or honor and other charitable giving questions. Staff are also available to assist you in updating alumnae/i contact information, reporting a death, finding a classmate or other constituent records questions. In addition to the individual staff contacts listed here, you may call 413-585-2036 during business hours, Monday-Friday, 8:30 a.m. to 4:30 p.m., or email your gift questions to giftaccounting@smith.edu or your records questions to alumnaerecords@smith.edu. 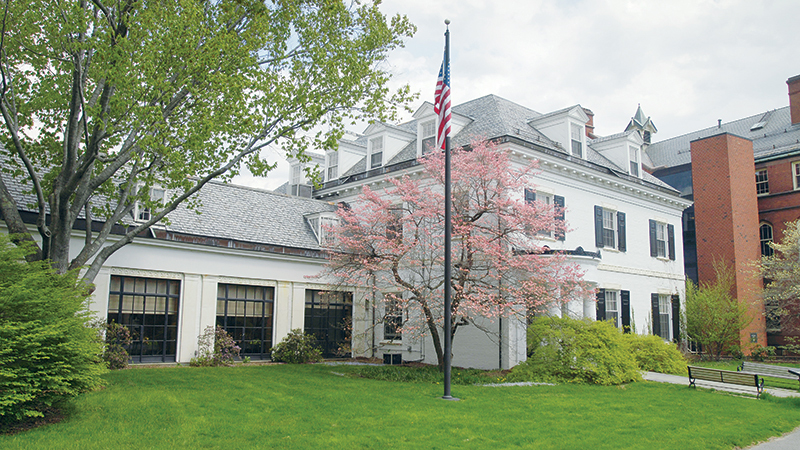 The Individual Giving team works in philanthropic partnership with alumnae, parents and friends of Smith College to support the college’s mission. Learn more about priority gift opportunities. International Development builds relationships with alumnae, parents and friends living outside the United States in order to match donors' philanthropic goals with the strategic priorities of the college. Learn more about International Development. Research updates donor biographical information and supports nominating and prize award committees. Smith College’s annual fund sustains the academic innovation, global education, scholarships and resources that make this institution exceptional. In addition to the individual staff contacts listed here, you may also call 800-241-2056, option #1 during business hours, Monday-Friday, 8:30 a.m. to 4:30 p.m.